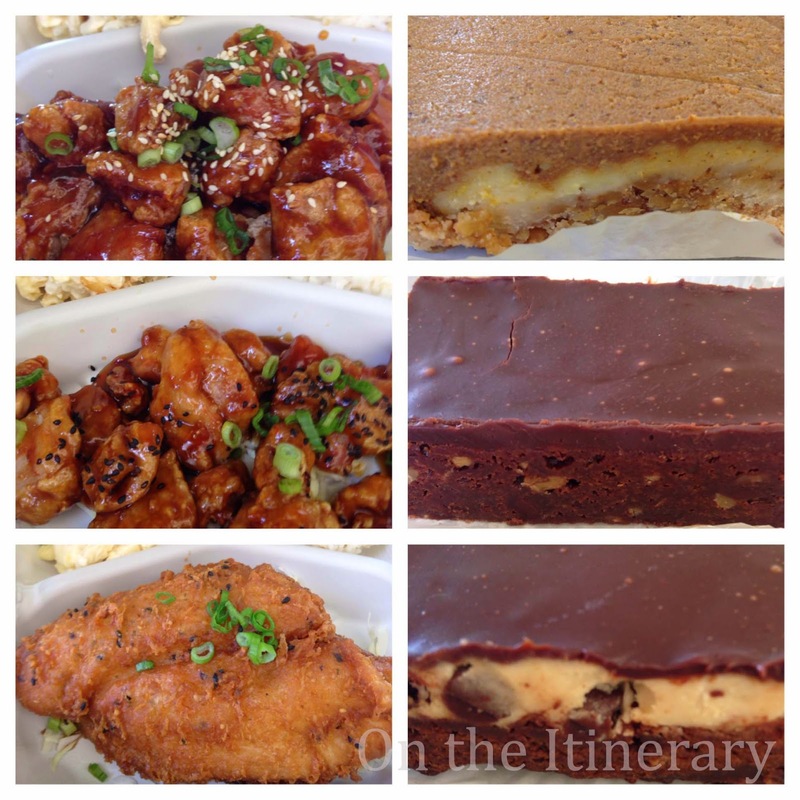 Back when I was working near the airport, we'd often go to Kaka`ako Kitchen Express (now closed) and the only dish I'd ever order was the Sweet Chili Chicken. On a recent visit to Kaka`ako Kitchen I once again ordered that dish (and tried some others as well). The Sweet Chili Chicken did not disappoint. Small pieces of chicken are tossed in a tasty sweet chili-teriyaki sauce, which gives it just a little kick. The Garlic Chicken was good as well, and so was the catfish. That was the first time I ever tried catfish, and it was very delicious. We couldn't leave without getting some dessert, and everything was yummy, with my fave being the Cookie Dough Brownie. Kaka`ako Kitchen was a great, casual spot for lunch and dessert!